Huawei P30 Pro is on sale in India after its launch last week. The smartphone can be bought from Amazon India website and the offline sales will start from the coming week. Chroma stores are already accepting pre-orders for Huawei P30 Pro. The 8GB RAM and 256GB storage model is available for Rs 71,990. There won't be any other variant of the Huawei's flagship phone. As far as launch offers are concerned, Huawei P30 Pro will be made available at no-cost EMI options. The buyers of the phone can also avail 5 p er cet cashback between April 15 and April 17. Huawei is also offering 6 month screen insurance scheme. Subscribers of Reliance Jio will get up to Rs 2,200 cashback and double data recharges and other benefits up to Rs 10,000. Huawei P30 Pro has a 6.47-inch OLED display with a resolution of 2,340 x 1,080 pixels and 19.5:9 aspect ratio. It is powered by the Kirin 980 SoC with 8 GB of RAM which is paired with either 128 GB or 256 GB of native storage expandable via Huawei's Nano Memory card (up to 256GB) in a hybrid dual-SIM configuration. The phone will run Android Pie with an EMUI 9.1 custom skin on top. 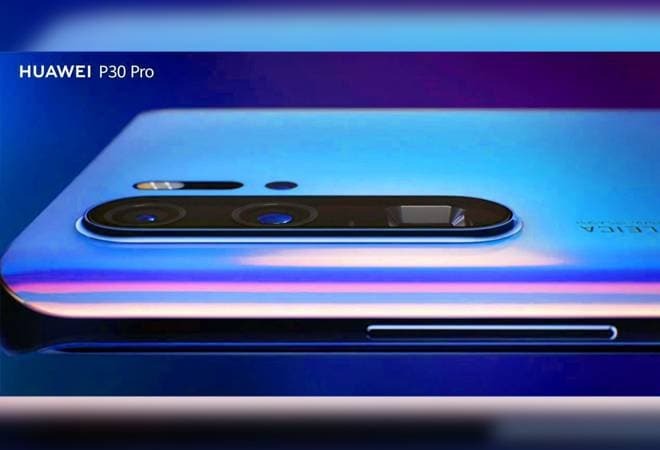 In terms of optics, the Huawei P30 Pro comes with a quad camera setup that includes a 40-MP primary SuperSpectrum sensor with OIS and an f/1.6 aperture, a 20-MP secondary camera with an f/2.2 ultra wide-angle lens, and an 8-MP sensor with a telephoto f/3.4 lens. The fourth sensor will be a time-of-flight (ToF) sensor. There is a 32-MP selfie camera as well onboard. Connectivity options include 4G VoLTE, Wi-Fi 802.11ac, Bluetooth v5.0, USB Type-C (v3.1), NFC, and Dual-Band GPS. There is also an in-display fingerprint sensor and 4,200mAh battery. The phone is also IP68-certified for dust and water resistance.